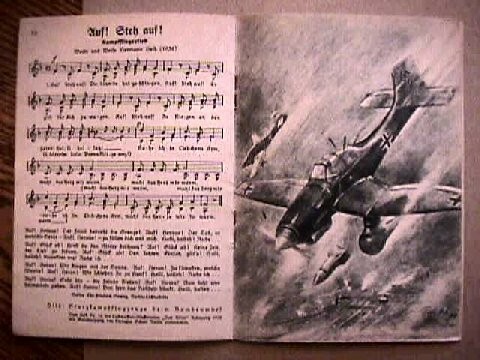 DESCRIPTION: Published by the Luftwaffe ministry this 34-page booklet is a super-nice item with all the great songs and several great dramatic pictures. 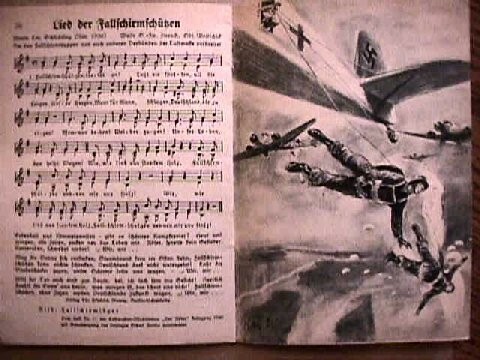 Such songs as Fleiger Emtor!, Fallshirmjager Lied, Fleiger und Sieger, Wir Fahren Gegen England and many other tunes familiar to Germanophiles. Rare in this condition. Measures 4 ½ X 6 ½ inches. Great! 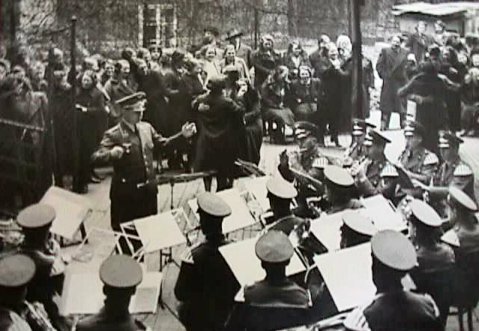 DESCRIPTION: Original picture of the Luftwaffe Flack (91) flute band performing for the employees of the firm of Bachwitz. This original press release has the original typed explanation on the back. Nice and measures 7 X 5 ¼ inches. 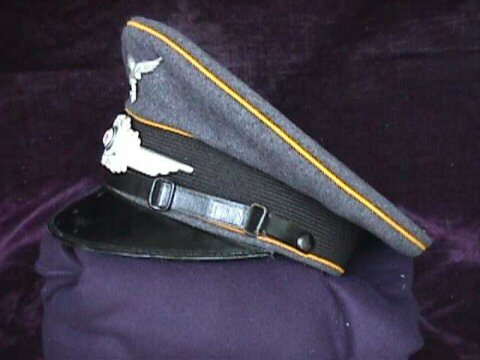 DESCRIPTION: A nice-condition visor cap. All original in a tailor-made issue. Yellow piping indicates flight arm. 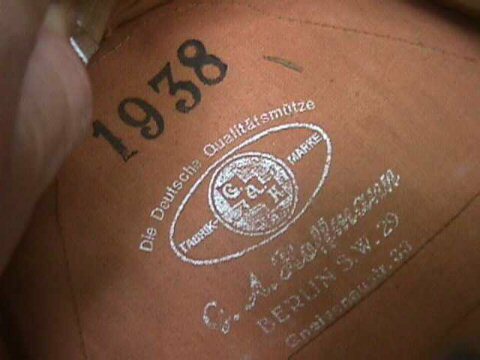 Label inside is stamped 1938 and the fabric mark is GAH (GA Hoffman in Berlin, Gneisanauser. 33). The size is small. Please do not ask for size. All we can do is measure inner circumference. 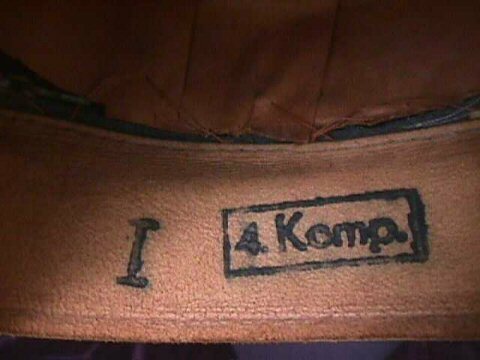 Inside the leather sweat band is stamped 'I' and inside a rectangle '4. 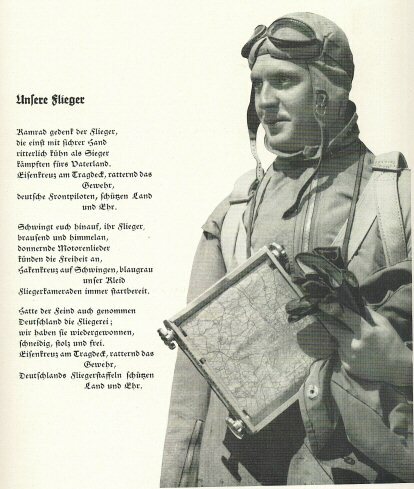 Komp.' and on the other side 'A. Ers. Abt. 25.' No moth holes. 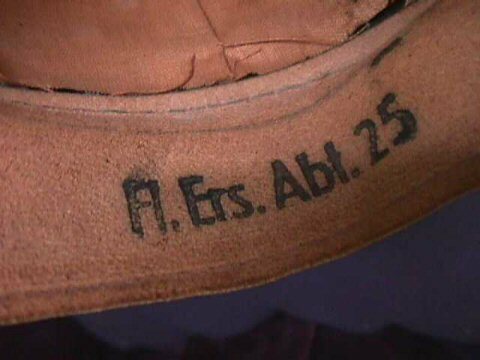 Leather band and brim intact. 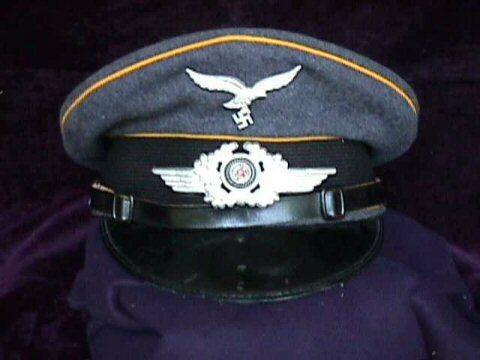 A nice honest and good-condition relic of the air war over Europe. 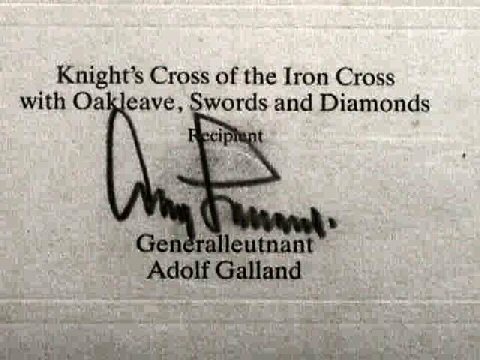 DESCRIPTION: The winner of the Knight's Cross with oak leaves, sword, and diamonds. This is in a frame which measures 24 x 18 inches. 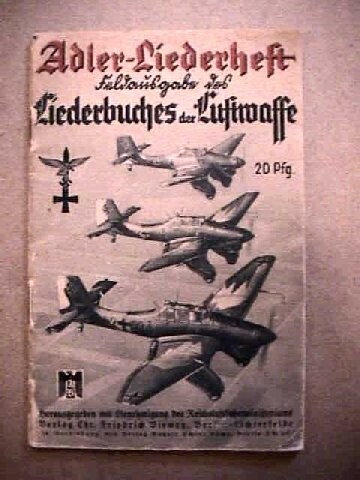 It is signed by Galland as Generalleutnant der Luftwaffe It is also signed by J.G. Keck, the artist who did it in 1988 and had it signed by A. Galland. It was a limited series of 500 in all. 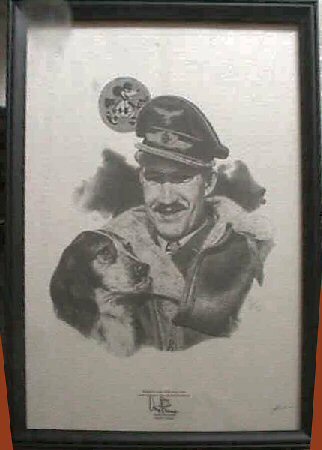 Adolf Galland, 1911-1996, was one of the top Luftwaffe aces. 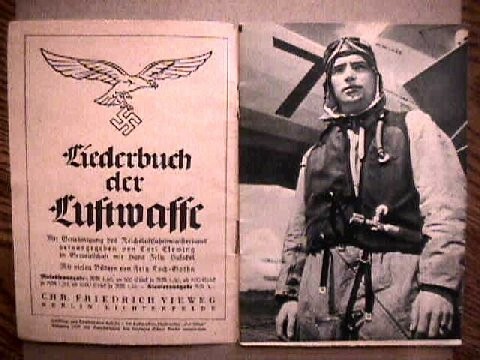 A brilliant and courageous pilot with 103 air victories in WW II at the age of 30, he became General of Fighters. 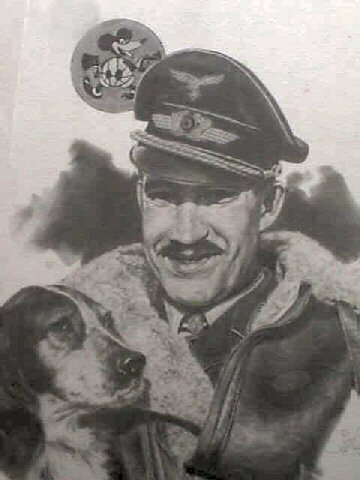 Also, served with distinction while with the Condor Legion in Spain during the Spanish Civil War where he flew 300 missions. A hero of the saga of the western world.